Every seller wants more sales on their Amazon products. And one of the simplest ways to get more sales is to optimize the sales copy for your products. What’s sales copy? It’s the text you type into your product listing to tell potential buyers about your product. 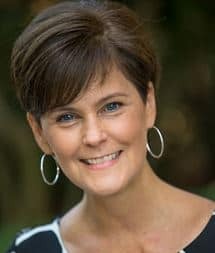 It may seem pretty straightforward to you, but know this: people like Karon Thackston have built a professional career on learning how to write powerful copy that sells products, and Karon has niched in on Amazon product descriptions as one of the main areas she makes her living. It’s easy to niche because Amazon is so unique in the way its algorithms work. Find out how Karon got started as a copywriter and how she coaches Amazon Sellers to optimize their listings, on this episode of the Amazing Seller. Do you know the biggest mistakes Amazon Sellers make on their product listings? It’s wasting their keyword opportunities. Amazon is very, very different than Google or any of the other search engines. Search engines are optimized to find key phrases, but Amazon isn’t, it uses key WORDS. That difference alone could help you increase sales when you tweak your product listings appropriately. So for example, you don’t want to repeat keywords: “Garlic Press, Stainless Steel Garlic Press, Garlic Press Kit”, etc. Once you’ve written a word in your title or keyword areas, that’s all the benefit you’ll get from it, so use different words, vary it up; that way you’ll get the most out of your product listings. That’s just one of the often missed things Karon shares on this episode of The Amazing Seller, so listen to the entire show. Did you know that your product title serves as keywords too? That makes a huge difference when it comes to completing your keyword fields. If you’ve already used a targeted keyword in your product title, never, never use it again in your keyword field. You’re wasting valuable real estate that Amazon will search when people are trying to find products. Vary your keywords, get creative, and make sure you’re not duplicating efforts to no avail. 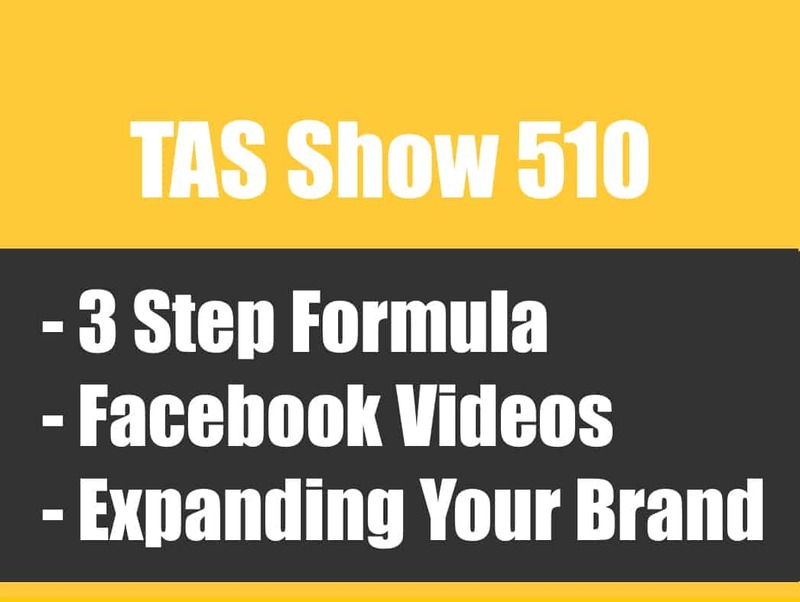 Karon is an expert at this stuff and shares a ton of valuable tips in this episode. What makes one Amazon product title better than another? Originality. If your competitors all have the words “Teflon, plastic, 6 oz.” in their product title, you should work hard to differentiate yourself from them. It’s not that you don’t have those same qualities for your product, but you want to stand out. When people are scanning the Amazon product listings they begin to scan faster when all the titles appear the same. Your original wording and title could be the thing that makes them stop, look a little deeper, and eventually buy your product instead of your competitor’s. Find out more about making your Amazon Product Title “pop” in this episode. The best way to use bullets in your product description. Should your bullets be a listing of features, or benefits? If it’s both, which should come first? How long should an average bullet point be in your product listing? How do the recent changes to Amazon’s product listing format impact your choices regarding bullet points? Does Amazon search your bullet points for keywords? You didn’t know there was so much to consider about something simple like a bullet point within your product description, did you? In this episode of the Amazing Seller you get to learn from a woman who has studied the Amazon algorithms and know the best practices for using bullets effectively. Be sure to listen in to get all her insights. [0:05] Welcome to this episode and introduction. [2:04] Chit chat with Karon, introduction to optimization of a product listing. [2:55] How Karon got into copywriting and moved into Amazon listings specialization. [4:58] How writing with Amazon is a puzzle and how Karon has navigated that maze. [6:29] What are the main, big mistakes Amazon sellers are making. [8:32] How Amazon operates very differently than Google. [9:40] The difference between “keywords” and “key phrases” and why it matters in Amazon. 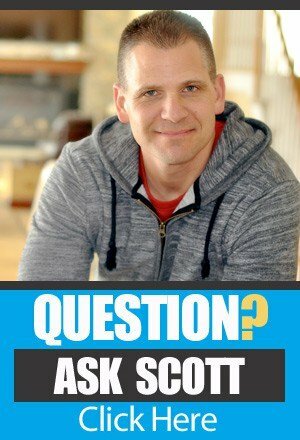 [11:23] Scott’s experience in making the biggest mistake – don’t repeat keywords. [12:30] A vital tip on how to use your product title as a keyword term. [13:49] Do bullets in your description impact keywords? [17:20] What makes one title better than another – originality and positioning. [20:56] The power of bundling to differentiate your product. [23:03] How should you structure the bullets in your product description. [27:18] Why placing benefits before features could maximize your listing. [29:40] The place of the product description, what matters and what doesn’t. [33:42] You can ask the “Seller Central” folks to allow you to use HTML code – and sometimes it will work. [37:22] Should you ever report violations in other seller’s listings? How to do it wisely. [39:00] Should you take risks when it comes to pushing the limits on Amazon terms of service? [41:28] Karon’s books and other resources – and how to contact her. [45:35] Scott’s wrap-up and take-aways from Karon’s advice. 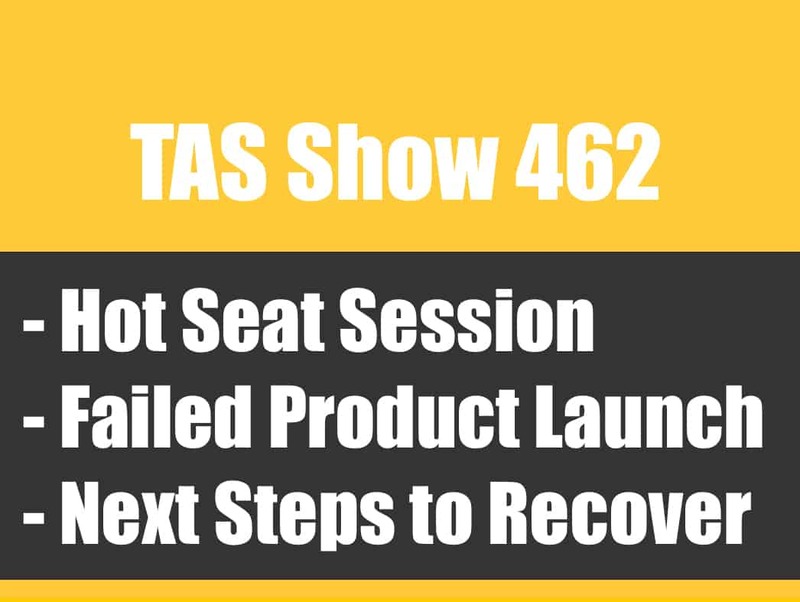 TAS 462: (Hot Seat) Failed Product Launch Using Email List and What to Do Next? I have read that you do not need commas, but we’ve been told by several reps when we call to add them in to separate the phrases and add key words multiple times when they’re separate concepts. I would love to believe you that we don’t need to repeat key words but we’ve been ranking higher since we’ve stated including commas and duplicate key words when they help with context. For example multiple reps have told us we should add a comma between Black Garlic Press, Heavy Duty Garlic Press and repeating it will help. So now I’m very confused! Im getting ready to use your service, probably buy it tomorrow for a couple of products. Question is….. Do you or would you offer a Future A/B testing to optimize listing even more?? That’s was a brilliant, Scott & Karon – thanks! 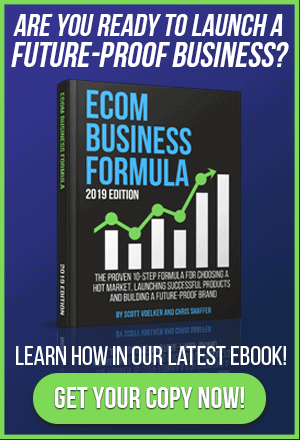 Just a quick question – I am thinking of buying Karon’s ebook, and I was wondering if it is up to date with all the latest changes at Amazon, e.g. Amazon now allows 1000 characters per line in the KW section. Also, as 1000 characters is quite a lot to play with, is the “no-repeating of KWs” rule not so important now? Hey Arny, the rules are still the same you just have more room to play! Great show. I can’t find the link for Karon’s done-for-you service? Is it still relevant that we do not get indexed searched within the bullet points and description? I know we had some changes recently so just wondering if this applies still? Hey Gavin, Amazon still proclaims that they don’t index those for ranking. They are scrapped and do appear in search results if they are relevant to what a customer is searching for though, so make sure they are well written and include some of your keywords! I’ve come to this well after if was first released but what a pleasure to listen to someone freely giving away genuine information, real suggestions and material that is really going to make a financial difference. Thank you, thank you. Wow! Great information! I’m a little unclear about the Search terms. can I fill up each line with the allowable # of characters (is that 50?) or just 1 word/phrase per line? I looked for it in seller central, but haven’t been able to find anything specific for the search terms….probably missing it. Thanks! Related question – in the Keyword section of Seller’s Central it also has other ‘Keyword’ sections other than the Search Terms (Platinum Keywords, Other Attributes etc.) Are these categories important/will they be indexed as keywords as well, or it only the words in the Search Term areas? Platinum keywords are irrelevant to 99.9% of sellers, but if you can fill out another attribute it’s worth doing! They don’t seem to be weighted nearly as highly as the search terms section, but it certainly can’t hurt to fill the listing out as completely as possible. Hi. Thanks for the information about this product listing. I was able to update my keywords but why is that when I tried to change the title of my product, it was saved in amazon seller central but it does not update on my amazon product website. Please advise. Thank you. It occasionally takes a few hours (or even a day) to update through the Amazon system. As long as it shows the correct title in the backend, it will kick through to the sales page shortly. If you continue to have issues, reach out to seller central support and they can let you know what the hangup is! Is there a coupon code for Amazon copy writing service? Hey David, the coupon code is for her book. Her copywriting service is available at her current price! I bought the ebook and did the exercises. Re-wrote everything with this advice in mind. Also stripped my search terms as all wrongly placed ? and did a major overhaul! Thank you Karen – my listing is now singing!! Great! Hope it does well for you. I paid for the book from my phone but not sure where to download it. Can someone help pls? You will get a welcome email with details. If that never arrived, go to http://www.CopywritingCourse.com/login and click the “Lost Password” link to have it resent. What an excellent episode. I learned so much from it. Everything she brought up makes perfect sense. I am modifying my listing now. Hope to see an improvement in my conversion rates! AWESOME podcast! I listened to it 3x throughout yesterday! Thanks Scott & Karon! Thank YOU! Tonight we needed to write our new listing and since you came on this podcast we can get a professional to write it for us. Thanks for a spot on podcast Scott and for your timing Karon. I know my strengthens and writing is not one of them, so grateful for talents and happy to pay to get a professional listing. Is it worth it to put your brand name in the title of your product listing on amazon? Or would it be redundant since the brand name would the seller name (xyz company and fulfilled by amazon). My **personal opinion** is not to put the brand name in the front. Many of Amazon’s Style Guides recommend that you do this. Just curious as to why you do not put the brand name in front – if you have a popular brand it would act as a strongly indexed keyword, no? Hey Michelle, if you have a well known brand, like say NIKE, it has the potential to do that, yes. But you still wouldn’t always want to put it in the front since they may not be the first thing that leads people to your shoes when they are buying something like a “weightlifting” shoe. Make sense? Thanks Brian! I appreciate that. Its really of utmost importance to ensure you optimize your listing very properly. This is because no matter how good and efficient your product is, if you didn’t optimize the listing very well, it won’t covert. Your potential buyers will not know what your product is all about and therefore, they will not buy. So I see this happening quite a bit with writers where they don’t like all the writing and large blocks of text and while I agree it’s a bit much, some of us feel that we have two audiences we write for – the people and the search options. We can’t just have a listing for the people that want to read it – we have to add a bit more words to get picked up by the search engines. So, I would not just make it look visually pretty with shortened paragraphs. Just my opinion of course, but I will continue to load up my page with bennies, features, facts and more. 🙂 Good info – great tips by Karon! Just bought the ebook. Many thanks for the discount code. I have a feeling it will pay for itself in no time! I would never have known about this resource if not for you – keep them coming! Keep up the good work Scott and many thanks for your guidance and enthusiasm from Glasgow, Scotland.